"Face My Fears" from KINGDOM HEARTS III on piano! 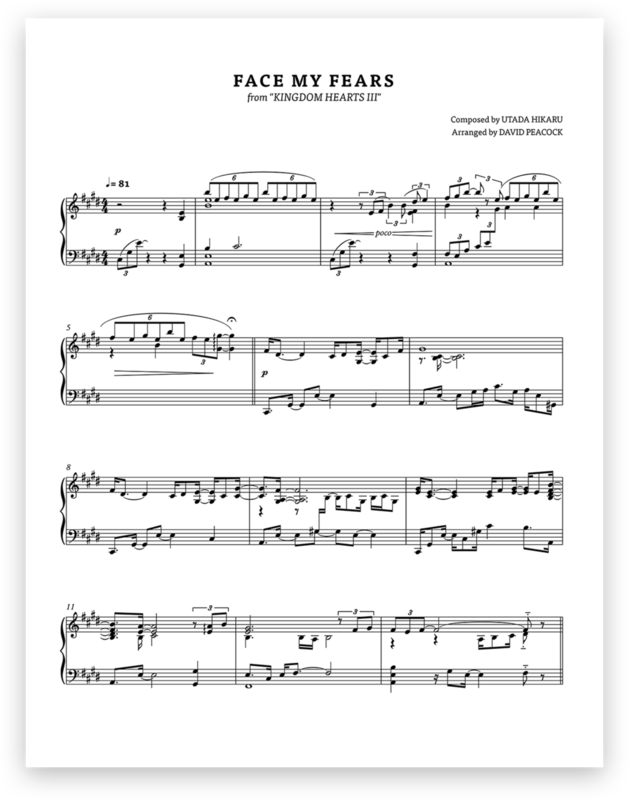 Jam out to “Face My Fears” with the solo piano sheet music available now! This was just a fun time enjoying the new Utada Hikaru tune while trying to figure out different ways to convey Skrillex’s breakdown/choruses. If you’d rather just enjoy the song, check out the audio below! Listen on Spotify, Apple Music, Amazon, Pandora, Google Play, YouTube Music, and Deezer! Buy at Sheet Music Plus!